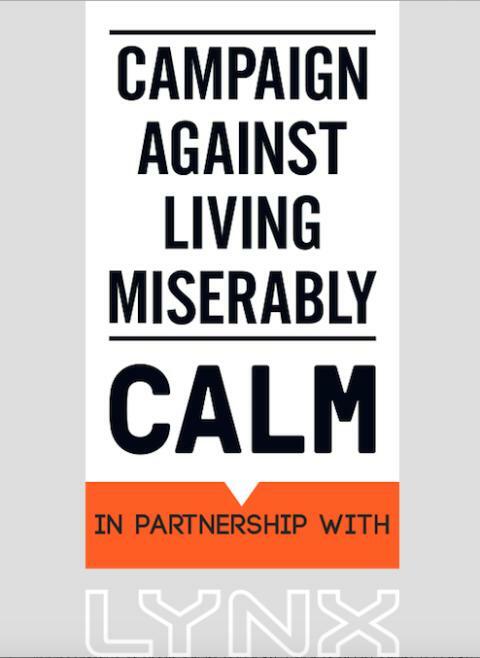 CALM is delighted to announce the success of the #BiggerIssues campaign with male grooming brand, Lynx, in raising awareness that suicide is the biggest single killer of men aged under 45, by a massive 45%. The campaign, which launched on 2nd November, was backed by MPs, celebrities and suicide prevention charities alike, and culminated in a ‘Thunderclap’ message via social media reaching some 23.4 million people on the morning of International Mens’ Day (19th November) with a debate on men and the issue of male suicide in Parliament that afternoon. CALM commissioned a YouGov poll in October 2015, which showed that awareness of suicide as the biggest single killer of men aged under 45 stood at 20% of UK adults. The poll was repeated on 15-16th December and revealed that awareness across the country rose to twenty nine per cent. * All figures, unless otherwise stated, are from YouGov Plc. Total sample size was 2091 adults. Fieldwork was undertaken between 15th - 16th December 2015. The survey was carried out online. The figures have been weighted and are representative of all GB adults (aged 16+). ** All figures, unless otherwise stated, are from YouGov Plc. Total sample size was 2,015 adults. Fieldwork was undertaken between 15th-16th October 2015. The survey was carried out online. The figures have been weighted and are representative of all GB adults (aged 18+). Table showing the 45% increase.